CLEAN AUTO HISTORY!!!!!! 1 OWNER!!!!! WOW!!!! This is an amazing car that has absolutely everything. The equipment list is to extensive to list it all, so here are the highlights. 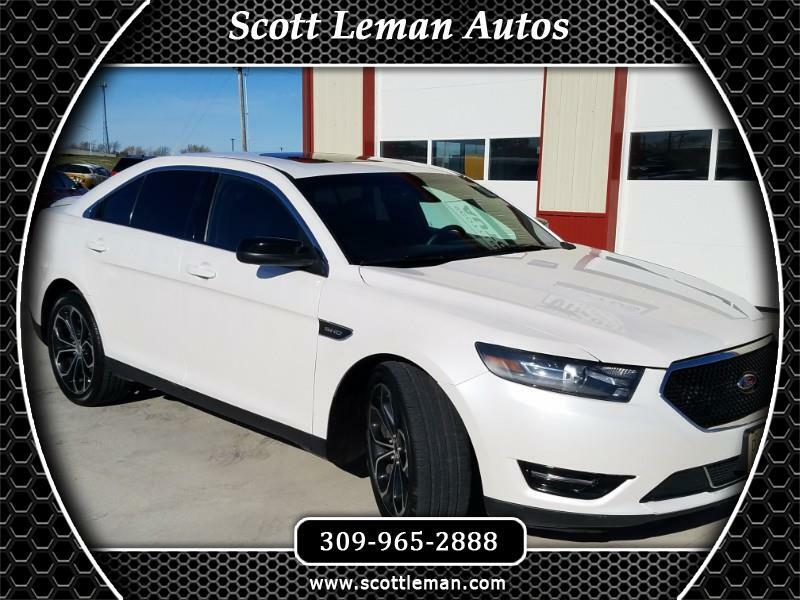 Heated and cooled leather seats, power sunroof, navigation, rear camera, power massaging seats, blind spot monitors, brake alert/crash response, lane departure warning, adaptive cruise control, remote start, 20" wheels, touch screen display and so much more. Plus, the SHO model gives the performance minded customer something to drool over, with the 3.5L Ecoboost Twin Turbo V6 engine producing a sizzling 365hp. Did I mention this bad boy also has All Wheel Drive? Well, it does. Like I said this car has everything, well everything except a large price tag. That's right, we have this gem priced WAY under book value, making this a very special deal. Scott Leman Autos is located in Goodfield Illinois.